This evening I took the plunge and dismantled my gorgeous Roco Heeresfeldbahn loco with a view to seeing how much I might need to butcher modify it to fit on the Parkside body kit for the Welshpool & Llanfair’s Hunslet No. 85. Once I’d figured out the trick to it (remove the tops of the side tanks, thanks Tom!) the loco came apart in logical, non-destructive pieces and the first step was to try the Hunslet’s footplate against the stripped down chassis. First signs are encouraging, I think I will only need to cut away at a couple of places along the sides and at at the rear to clear the motor mounting cradle and the gearbox. The motor cradle (the silver component halfway along the unit) seems to be one of the key components of the chassis so I am keen to retain this if I can. The motor is held in the cradle by the diecast boiler so this would be another good part to keep, but if I strip off the domes and other detail it looks like the kit boiler will fit around it. The rest of the Hunslet fits around the core of the Roco body quite easily. This is an indication of just how big No. 85 is compared to the average 009 loco. Moving towards 2′ 6″ gauge prototypes is causing me to reconsider the loading gauge on Fairlight somewhat. It’s around the same length as my WW1 Baldwin, although quite a lot chunkier, and rather dwarfs Blanche. All going well I will end up with something like this. Photo of W&L No. 14 (ex-SLR No. 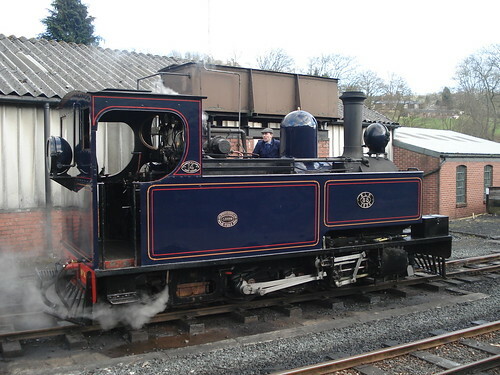 85) at Llanfair by The Original AJ. Given that I am considering this loco to be one of the “originals” for Fairlight, I will have to measure it up to some rolling stock once the body is together and go on a hunt for some good prototypes to run alongside it. This entry was posted in 009, 2' 6" gauge, fairlight, hunslet, model railways, narrow gauge. Bookmark the permalink. I have the Parkside kit and am using a Farish chassis for it but the kit came with one of the roof supports on the side pieces broken. 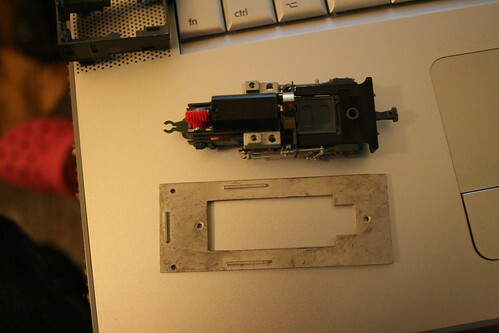 Well I have always wanted an open cab loco so will modify this to work. I will probably also add a tender…maybe.